Medical Question: Illness early 1980's. I just found your website and I have to say….I am hooked! What a great concept!! I am a fiction writer currently working on a spiritual thriller project. I have a character that is in her late 70’s in the early 1980’s. Ideally I would like her to suffer about a year before passing away. I need to find a way to have her pass away-possibly in her sleep. I need to find something semi complex for that era that would allow her to hide the (fatal) disease, at least for a considerable amount of time. I would love your thoughts!! Here are a few ideas for your illness. Cancer: There are a couple of cancers that when discovered, even with treatment, death might occur in about a year. A few to consider would be brain, liver, pancreas or kidney. Neurological Disease: Here you could do a rapidly progressing ALS which is also known as Lou Gehrig's Disease. Cardiac: In general, she could have congestive heart failure. There are a number of causes. This could have her feeling generally unwell for a long time and then you could have sudden death really at any point in your story line. Here's a blog post I did along those lines. Hope this helps AJ and good luck with your novel! AJ is a Christ follower trying to encourage others by being transparent in her trials and triumphs. You can find her a http://randomnessofluck.com/. A Humor Break: Physician, know thyself. I got this diagram e-mailed to me from a nurse friend of mine. It gave me a good laugh. Those that work in medicine can appreciate this as there seems to be these diagram boxes for everything. This one goes over how a medical student might find their specialty. Now, I don't know who to credit it to. So, if anyone knows, please e-mail me. And, if you find one for nursing, I'd be happy to post it. 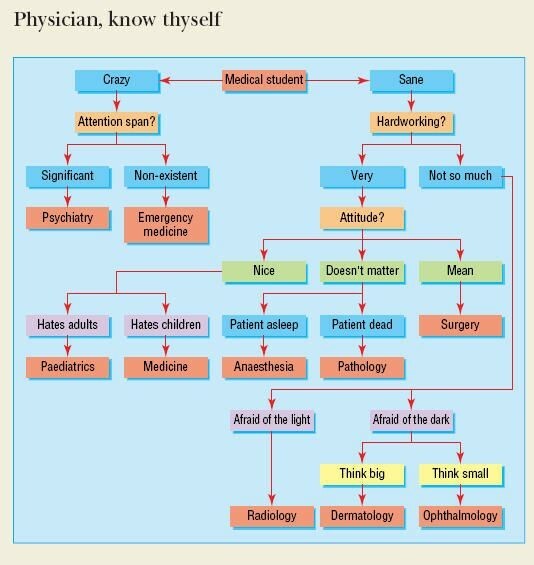 I think the diagram does lend to the fact that certain medical specialties attract certain personalities. Nursing is no different. For instance, I happen to believe a lot of labor and delivery nurses have been cheerleaders in the past. Wouldn't you have to love to do that to get all those women through labor? What do you think the personality type is for a neurosurgeon, a podiatrist, or a family practice doctor? What about for an ER nurse, a neonatal nurse or a medical/surgical nurse? Often times in fiction, regardless of genre, our characters need to suffer a little mayhem to increase the conflict, like a physical injury. Today, I thought I'd give some routine guidelines for care of a laceration that would require stitches as background information for these scenes. Cuts are preferably closed within 6-8 hours after injury. Long outside shot is 24 hours and only if the physician feels the wound is not highly contaminated. First, the wound is generally cleaned with copious amounts of sterile saline. This is to wash out any debris/germs that are in the wound to prevent infection. Prior to this, the wound is generally "numbed" up. In kids, we use a topical gel called LET which is a combination of three substances (lidocaine, tetracaine, and epinephrine). This substance can be used on most cuts except the ends of certain areas (fingers, toes, nose. )Yes, I know that rhymes. It helps us remember! LET sits in place for approximately 30 minutes and then we irrigate the wound. If the laceration is in an area where LET cannot be used, then the physician may use a digital block, which is an injection of anesthetic near a nerve site, to numb up a whole area, like a finger/toe. Adults are given local injections of an anesthetic, typically Lidocaine, then the wound is irrigated. If the cut is on the scalp, staples are used for closure. If the cut is in an area where the laceration will stay closed with movement (like under the chin), then the physician may choose to use Derma-Bond, which is a medical grade glue. However, if the cut is under "tension" it will need sutures. If the cut is near a joint, then the area will likely be splinted to ensure the stitches don't rip. Here are guidelines for how long stitches need to stay in place. 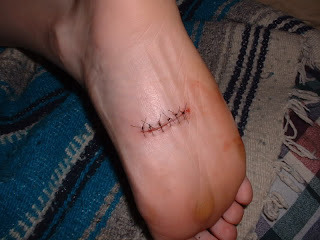 The sutured area should stay undisturbed for 24 hours. No soaking in the bathtub or swimming until the stitches are removed. After the first 24 hours, the wound can be gently washed twice a day and covered with an antibiotic ointment to help prevent infection (unless glue or dissolveable sutures are placed-- then no ointment and most often no washing). A tetanus shot will be given if the patient hasn't had one in the last five years. Question for you: Why do stitches further away from the heart need to stay in longer? Can you tell me anything about Cesarean section in 1946 in a tiny village hospital. It's in Long Island, NY, only two hours from NYC, so they're not isolated and totally backward. The woman is a minor character who appears in only one scene, but I want to get it right. It's after a brutal snow storm, a maternity nurse stops by just to check in. Everyone knows everyone in the village and the doctor, a woman doctor, mentions she's been thinking about this patient. The nurse is going home, and says she's been thinking about her too and will probably stop in on her. I figure the patient was in the hospital about a week and she'll need bed rest for about two weeks. Is that right? I'm thinking the patient might have her mother either living with her or staying w/her for the duration and the mother would be doing all the daily chores and taking care of the infant. ﻿Jordyn says: I've been researching your question and am not quite finding the specifics you're looking for. Right now, a woman who has a C-section would be in the hospital for anywhere from 2-5 days with 2 weeks of light chores at home and no driving so your parameters of a week in the hospital and a couple weeks bedrest--- I think you could have some latitude. I tried to get some first-hand accounts and found one... number three below. That might lend to getting a feel for the culture at the time. I've included several references/resources for you to look through. "By the 1940's, the standard was set, with hospital birth being thought to be the ideal. The idea was that at the hospital the doctor had all the "tools of the trade" handily available. Unfortunately, this was and continues to be a major downfall of hospital birth, as well. Included in those tools were medications, forceps, surgical instruments, confinement to bed, enemas, pubic shaving, arm and leg restraints, and hospital nurseries with rigid schedules. Birth was seen as an illness that required medical attention." 3. I found a patient experience from the 1940's-- though not a C-section. What she says and the pictures that they include I think will help give you a lot about the culture at the time. Plus, the couple is absolutely adorable! 4. Some more about the culture of the 1940's. "During the 1940s most women gave birth in an unconscious state, courtesy of drugs such as scopolamine. Women of that time seemed very happy to be numb, and end the "suffering" their mothers experienced in childbirth. They looked at birth without drugs as uncivilized." I found this little snippet that mentioned the length of hospital stay but couldn't pull the reference. Period 1940-1950, the length of stay in hospital was reduced from 20.5 to 9.8 days per patient. Any other suggestions for Nike? Nike is a wife, mother, and animal lover. She loves living in coastal metro NYC, a short distance from the Atlantic Ocean. Like so many other writers, Nike started writing at a very young age. She still has the Crayola, fully illustrated book she penned as a little girl about her then off-the-chart love of horses. Today, you might call her a crime fictionista. Her passion is crime fiction. She likes her bad guys really bad and her good guys smarter and better. 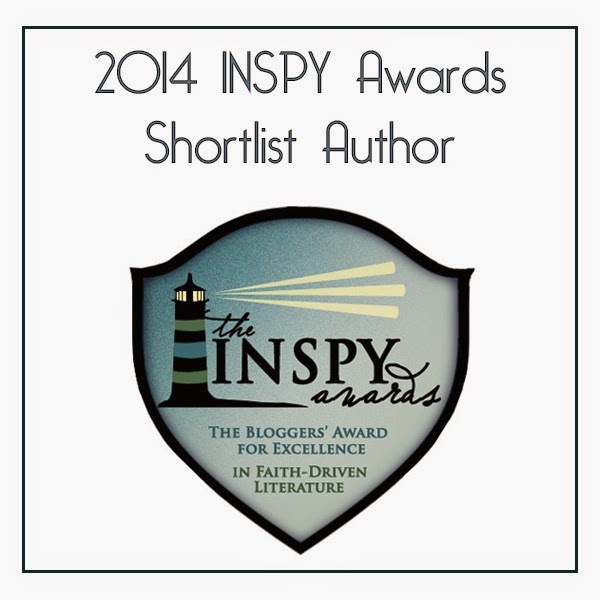 Nike was a 2010 Inspy Awards judge and writes book reviews for The Christian Pulse on-line magazine. 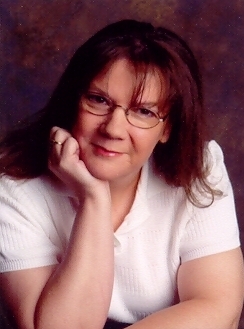 She’s the founding board member of the Grace Awards, a reader driven inspirational fiction award and current member of the American Christian Fiction Writiers (ACFW), where she serves as a small critique group leader. Also, she’s a member of Edgy Christian Fiction Lovers on Ning, where she coordinates a group summer blog tour and has taught a workshop on proposal writing. 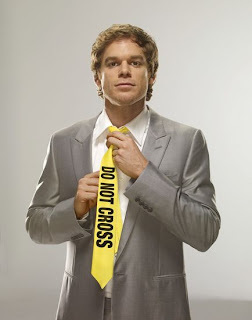 You can find Nike at Crime Fictionista: http://www.crimefictionandfaith.blogspot.com/. "My baby has a fever of 105 degrees." "Okay, I'm sorry to hear that. Have you given any Tylenol or Motrin?" "No. Aren't you going to take him right back?" "No. For one, I don't have any ER rooms open. Let's undress your baby down to his diaper to cool him off. I'll bring you some Motrin and juice to drink to make him more comfortable." "Did you not hear me? His fever is 105! He's going to get brain damage." "Ma'am, I understand your concern and I'm sorry your baby is not feeling well but I assure you, he is not going to get brain damage from this fever." My reassurances do not change her mind. Only when another mother in the ER stands up and says, "No, ma'am, she's right about the fever. Your baby will be fine." does she relent. 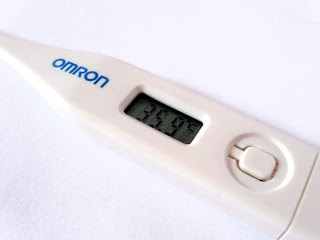 In general, fever caused by illness will not cause brain damage. Children can run very high fevers. I've seen up to 106 degrees. We do not thrust them into ice water. We do this instead: undress them, give them some oral fever reducing medicine, and encourage them to drink lots of fluids. Remember, fever is a sign (something measurable) of an illness. Your body does it on purpose to try to kill off bacteria and viruses. The purpose of a fever is to make the host environment (the sick individual) harder for bacteria and viruses to live in. Our main concern in the ER is what is the cause of the fever. This is what we'll worry about. Also, how high the fever is doesn't tell us if the problem is viral or bacterial. Notice I said fever is not worrisome for brain damage. However, hyperthermia can be very concerning for causing brain damage. Hyperthermia is a rise in body temperature that can overwhelm the body's normal defense mechanisms. Situations like this would include heat emergencies like heat stroke. Think a baby stuck in a locked vehicle. Or, the sweat lodge deaths in Arizona. Check out these resources for more information, in case you need another "mother" to dispel this myth. So please, don't perpetuate this myth in your writing, particularly from a character who is a medical person. What are your thoughts? Suzanne’s Question: I need to have some of the staff at a nursing home drugging up my character's grandmother because she's "too much trouble" (i.e. insisting that the do stuff right, wanting to go home, wanting to do stuff herself instead of letting them help her). I've looked into some anti-depressant meds as well as sleeping meds, but I'm not sure that will be sufficient. Can you suggest something that would keep her out of it quite a bit? Now that I think about it, it doesn't really have to be that specific scenario (although I think that one fits the story best). But it does have to be something that the staff is doing wrong that affects the grandmother in a way that her family would notice it because I need my character (who is a nurse) to investigate. 1. There's lots of nice drugs out there that would do the job. Any benzodiazipine (Valium, Ativan, etc..) would probably do the trick. The only problem is that in a nursing home setting, controlled substances (which those are) are tightly watched by generally doing narcotic counts every day. So if you use any type of controlled substance to subdue your character, you're going to have to explain how they are obtaining them without the narcotic counts being off. A personal prescription. They forge a prescription... etc. 2. Then I thought it might be better to have a common affliction in the elderly that would be imposed by the staff. In the elderly population it's not unusual for electrolyte levels (blood salt levels) to become abnormal. A common one in the elderly is hypernatremia--- particularly institutionalized elderly. Hypernatremia is excess of salt in the blood--- like table salt. A couple ways this can happen is to withhold water (your nefarious nursing home people do this), the patient refuses to drink the water (maybe this elderly character thinks they are poisoning her and she refuses to drink water), or they load her up with salt. Possibly she is taking some prescription meds and they begin to use salt in these capsules. 3. http://www.labtestsonline.org/understanding/analytes/sodium/test.html-- this is more worded for the public. 4. http://www.nlm.nih.gov/medlineplus/ency/article/003481.htm-- this one gives you drugs that can increase salt levels. 5. http://www.faqs.org/health/topics/4/Sodium-imbalance.html-- this is worded more for the public as well. What suggestions do you have for Suzanne? 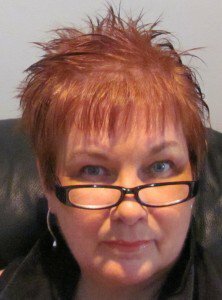 Suzanne Hartmann writes Christian fiction with a twist. 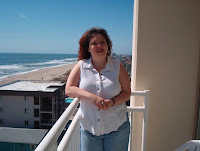 She has two pre-published books: The Race that Lies Before Us (suspense with a twist of NASCAR) and Disappearing Mom (women’s fiction with a twist of humor). She operates the Write at Home Critique Service and is a consulting editor for Port Yonder Press. Through her blog, Write at Home, she is known for writing articles about the craft of writing which explain grammar and writing techniques in easy-to-understand terms. Over the next three Fridays, I'm going to dispel some pretty popular medical myths that are perpetuated in books, on TV, and on film. Today we're focusing on the skill of the plastic surgeon. 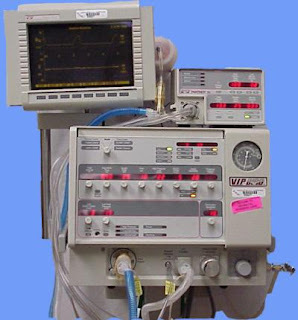 Here's a common ER setup. A child comes in with a simple laceration to the face. Let's assume for the purpose of this blog post it's a one inch cut to the face that is not through any critical structures. I, your happy triage nurse, bring you into the triage room for your child's weight and vital signs and the first thing the parent says is, "We're going to need a plastic surgeon for this." My happiness bubble has burst. First of all, anything that requires suturing is going to leave a scar, no matter who stitches it. It's the nature of how your body heals. The amount of scarring left after suturing depends more on you than the doctor assuming the doctor does a nice job stitching. Did the wound get infected? How does your body normally scar? Some people develop very heavy scars called keloids. Did you protect the skin from sun after the stitches were placed? All these factors play in to the amount of scar that is seen. It will take anywhere from 6-12months to know what the scar will look like. Secondly, there seems to be the general impression that if a plastic surgeon closes the cut, it will not scar. Let me pose this to you. If this were true, why do plastic surgeons hide their incisions up in the hairline, behind the ear, etc? Why not cut right down the middle of the forehead? They hide their incisions because they know a certain amount of scarring is going to happen. Surgical incisions are deep cuts. Just clean ones. Lastly, plastic surgeons are generally unavailable to come to the ER for minor laceration repairs. We don't even have plastics on call for our ER. Emergency physicians are very adept at closing lacerations, even complicated ones. The conflict arises when I begin to outline all of the above. What do you mean, there isn't a plastic surgeon? If you're unhappy with the repair, you can always consult a plastic surgeon at a later date for a scar revision. But, have some faith that the ER doctor will do a great job. They do stitches every day. If they think it is beyond their capability, they will let you know. Are you afraid of your child having a simple scar on the face? Why? Our resident EMS expert Dianna Benson is back discussing EMS and Dispatch for those pre-hospital scenes. Our station buzzer and waist-radios go off, dispatching us to a scene of an incident (if we’re not at our station at that moment, obviously we’d only hear our waist-radios). A split second later, a computerized voice over our station intercom says (for example): EMS 1071. Cardiac arrest at 123 Main Street. At 123 Main Street. TACH Channel 5. The same information is displayed on our radios. 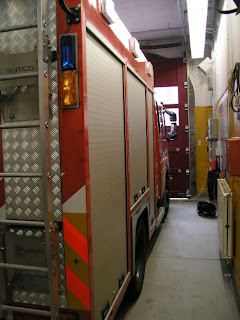 EMS 1071 is an ambulance number and the crew currently working the shift on that particular ambulance. Cardiac arrest is the type of EMS Call, but we may not receive this information (see below). The address is repeated once for clarity. TACH channel is the specific radio channel we need to set our radios to for this Call in order to receive any available additional information, as well as be in constant contact with various resources for several reasons – the top two reasons: 1) For our safety, and 2) To request additional resources as needed – PD (police department), LEOS (law enforcement officers), another ambulance, fire department, haz-mat team, etc. When an EMS crew receives a Call to respond to, 911-dispatch is often only able to provide us with little vital information regarding the scene. The one main piece of info we do receive, of course, is the address of the incident location. We may or may not be informed of the type of Call – cardiac arrest, respiratory distress, fall, MVC (motor vehicle collision) allergic reaction, etc., we may only receive the address. En route to the scene, we may receive additional vital pieces of information if the 911-dispatcher was able to obtain details from the 911-Caller. If so, dispatch will inform us: 1) If the patient is conscious or not, 2) If the patient is breathing or not, and 3) If PD or LEOS have been dispatched along with my crew. Any information is helpful for us to prepare for the scene we’re about to encounter, therefore enables us to best treat the patient, protect bystanders and the environment, and maintain our own safety. Unfortunately, the information given can be inaccurate or incomplete simply because 911-Callers are stressed, scared, angry, etc., and they may be a child or may be the injured or ill patient barely able to speak, plus 911-Callers are most often not medically knowledgeable. Also, 911-dispatchers are hindered via the telephone, so it’s difficult to well-interpret the situation. Sometimes a 911-Caller or another person on that end hangs up (due to multiple reasons) before the dispatcher informs them it’s okay to do so, thus very limited information is ascertained. One example of why the communication would cut off is: The 911-Caller is also the ill or injured patient, and that person falls unconscious. Can you think up more reasons? What is the conscience clause and why should I care about it? What does this have to do with writing? Well, writing fiction is all about conflict and the conscience clause can help add that to a medical scene. Generally, the conscience clause is a set of rules designed to protect a heathcare worker against performing any medical procedure they may find morally objectionable. For instance, not assisting in an abortion. My personal professional take on it is that I could withdraw myself from what I would personally consider a morally questionable medical procedure as long as there was "another qualified medical person" who could provide that care. Thus, the pateint's needs were met. 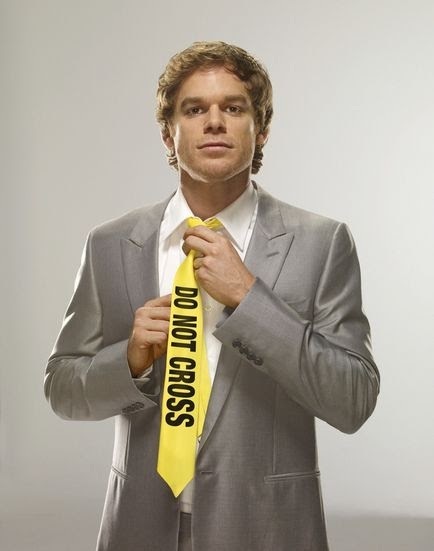 Let's take the case of Baby Joseph. Say, the hospital decides to go ahead and withdraw life support. Generally, it will be a nurse or respiratory therapist that "turns off the machines". In Joseph's case, I would not want to do that because I believe the family's wishes are reasonable... to place a trach and then take the baby home. I would request not to be assigned as his nurse or have someone else perform the duty. Now, the Obama administration is rolling back some of these protections. They felt some healthcare professionals were over-using the conscience clause and certain populations of people were being denied care. You can read more about it here: http://www.npr.org/2011/02/18/133875483/White-House-Revises-Conscience-Clause. What do you think? 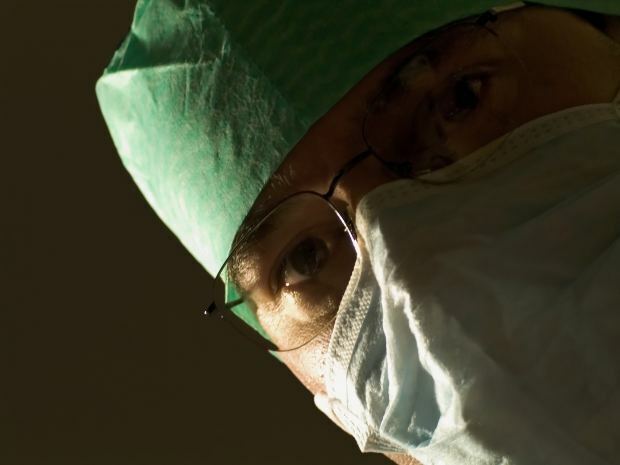 Should a healthcare worker be "forced" to perform a procedure they find morally objectionable?